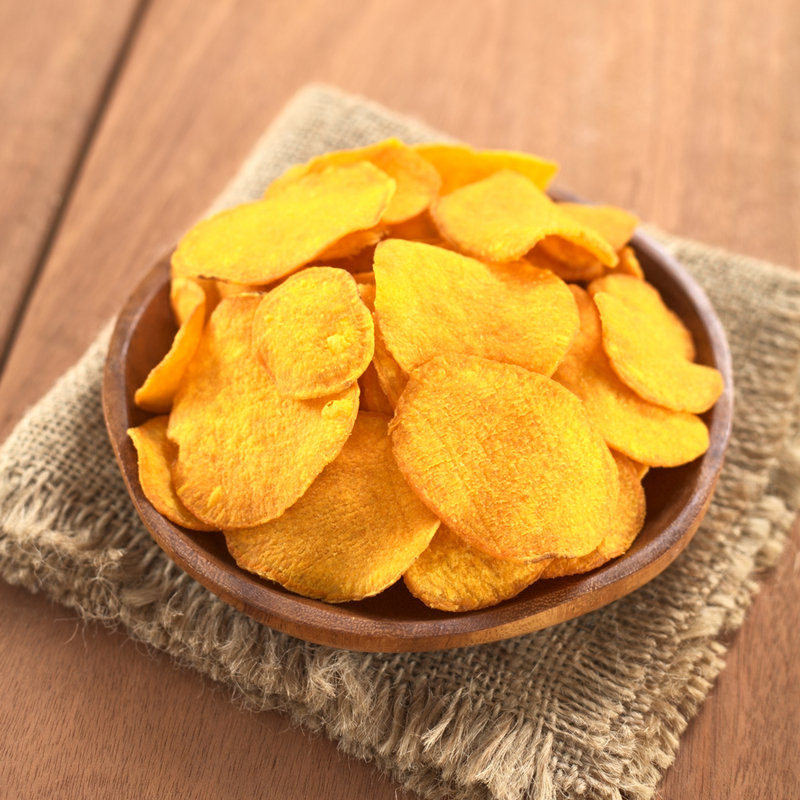 Step away from the Kettle Crisps, put down the Doritos and whip up a batch of these homemade sweet potato crisps! They are the perfect snack food and what’s best – you know exactly what goes into them! Eaten stuffed into your mouth by the hand full or served with dip they will disappear in a flash. 1 large sweet potato – peeled and very thinly sliced. Use a mandolin to slice them if you have one and are confident you won’t slice your fingers off. The thinner the slices, the crisper your crisps! Toss the sweet potato slices in oil and season with cumin, paprika and fresh sea salt. Arrange in single layers on lined baking trays and bake for 20 to 25 minutes, turning halfway through, or until crisp and golden. Tip: add an extra sprinkle of dried herbs and spices like rosemary and garlic or smoked paprika and chilli for a flavour hit! Oh yes that sounds lovely! I have to try these out this weekend! So so YUM! I’m going to try these little yummies! You must – they are so good!! Been meaning to try making beetroot crisps, think I’ll throw a sweet potato in with them now I’ve seen this! Mmmmmmmm! Oh yes you must – they are so delicious and go perfectly with beetroot chips YUM!